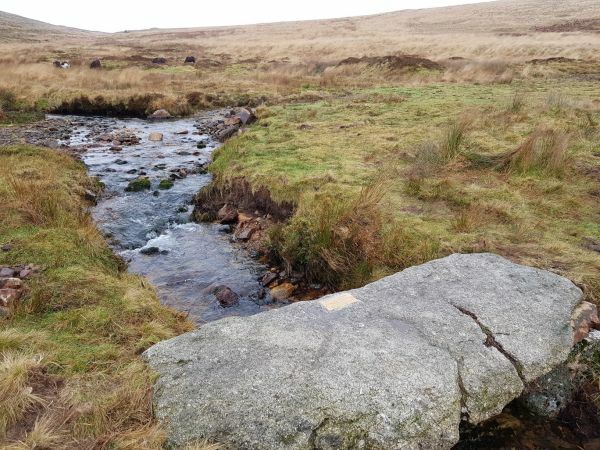 It’s easy to think that all of the artifacts and stone structures on Dartmoor have been there for hundreds or thousands of years. Certainly lots of them have. On my walk on the South Moor I had the pleasure of visiting the clapper bridge at Huntingdon which crosses the Western Wella Brook. 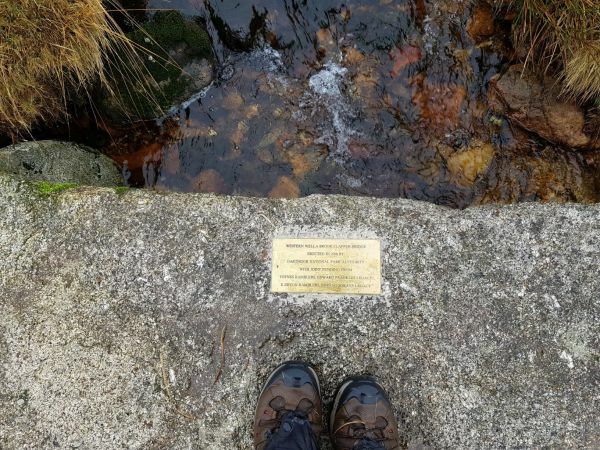 From a distance it looks like many of the clapper bridges that are dotted all across Dartmoor, but upon closer inspection this bridge is adorned with a brass plaque giving the suprising information that is was put in place in 2018. The media at the time celebrated its installation and I was so pleased to visit. It was a bit of an effort to get it into place; I wish I could have been there to see it. Apparently the granite was found on a local landowner’s farm. Imagine having a spare piece of granite such as this in your garden! Lovely pair of tootsies, too.